Some of my family from Ohio came to visit us for my graduation. 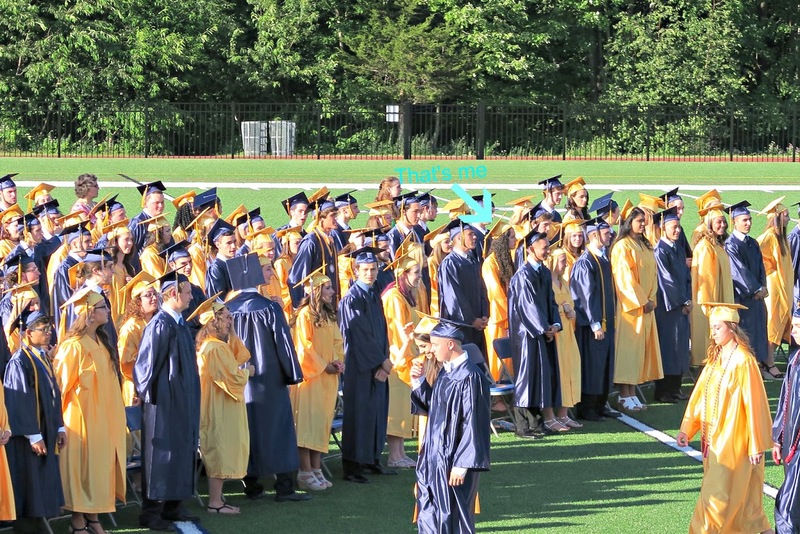 It was endearing to have loved ones that I don't get to see that often share the final moments at my high school as I transition into my next life chapter. After all the necessary steps had been checked - the walk across the platform, the handing of the diploma, the moving of the tassel, and so on - my family embarked on some fun adventures including High Point State Park and Monmouth Beach! The view from High Point was beautiful, as always. It's pleasant to know that there are some wonderful views of the state you live in. You can feel a certain pride from your own state park as well. Looks like the Washington monument, doesn't it? Getting to relax by High Point Lake was enjoyable as well. We were very fortunate that it turned out to be a nice day. As you can see, I can't resist taking some adorable pictures of my cousins, Owen and Aubrey. The next day, we packed our cars with as many towels and beach equipment as necessary and headed to Monmouth Beach, a spot on the New Jersey shore that we had never been to before. This was also our little cousin Aubrey's first experience with the ocean and hearing the sound of the waves, so transitioning from a small sandbox in her backyard to a very "big sandbox" was special for her. I felt very lucky to share some wonderful memories with my family during and after my graduation experience. I hope that everyone who is about to graduate, or already has, will look forward to the next chapter of their life and continue to hold on to the love that family can bring. Bonne chance!